And me, I still believe in paradise. But now at least I know it’s not some place you can look for, because it’s not where you go. It’s how you feel for a moment in your life when you are part of something, and if you find that moment, it lasts forever. 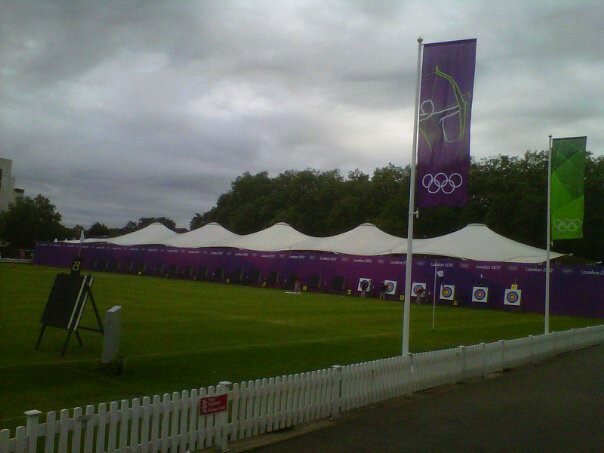 As you are well aware, London 2012 is in full swing. 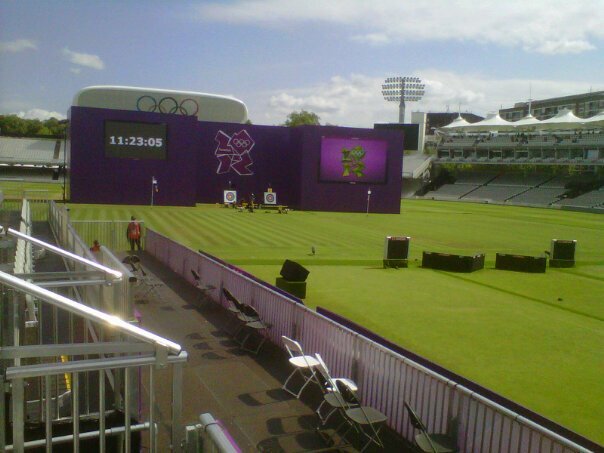 I have spent the better part of the last two weeks working at Lord’s Cricket Ground during the archery competition. 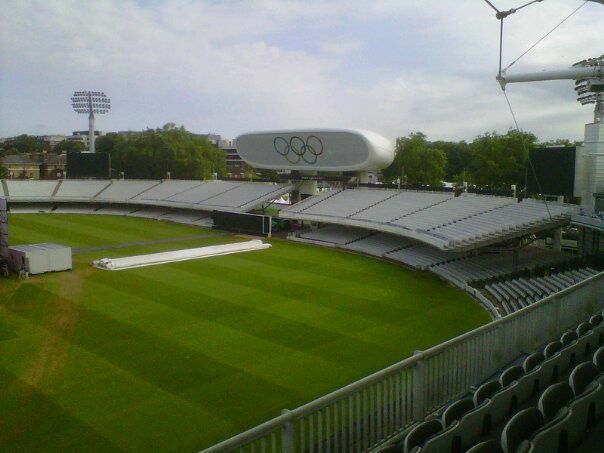 Like Wimbledon, Lord’s is a staple British venue- one that many individuals will hardly get the chance to pass into. 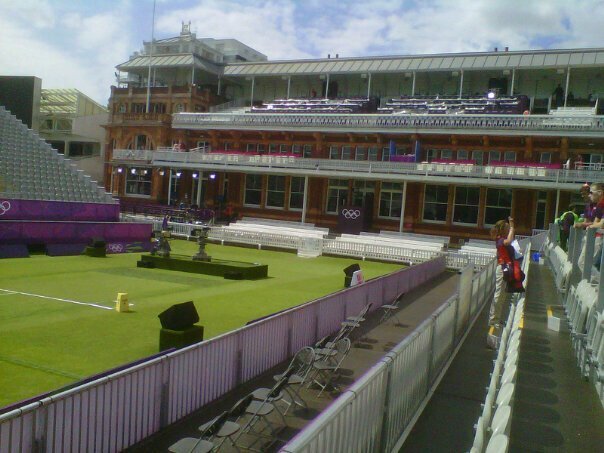 I’ve been told by some Olympic programme sellers that many of the spectators come into the venue and kiss the grass on the way to their seats, because the grounds are just that hallowed. The whole Olympic experience was something to behold. Day one gave me another brush with royalty. I’m racking up the points with the British Royal family and am fully confident that I’m making my way closer to Prince Harry*. 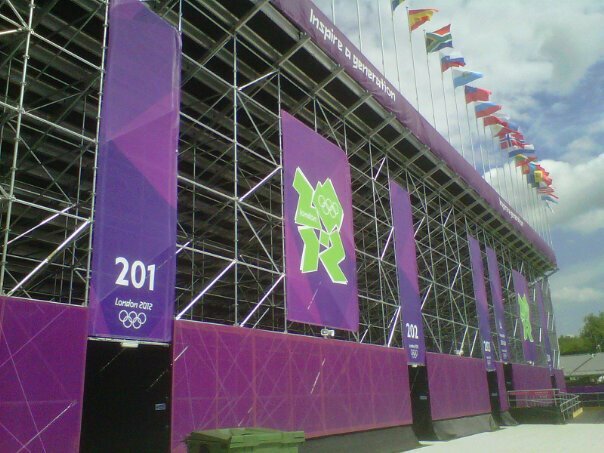 The first day of work was merely preparation for the following day, which was when the public would make their way into the venue. As we were gathered in our teams, my team leader received a message on her walkie talkie- it was requested that we step up our work efforts as “an HRH (His or Her Royal Highness) was on the way”. There was no hint as to who it would be, but the excitement was evident. I think there was a general expectation from all of us that the HRH would be a “lesser royal”- someone that none of us had heard of. However, at 9:30am, I looked up to see Princess Anne about an arm’s length away from me, head-to-toe in a Team GB kit. 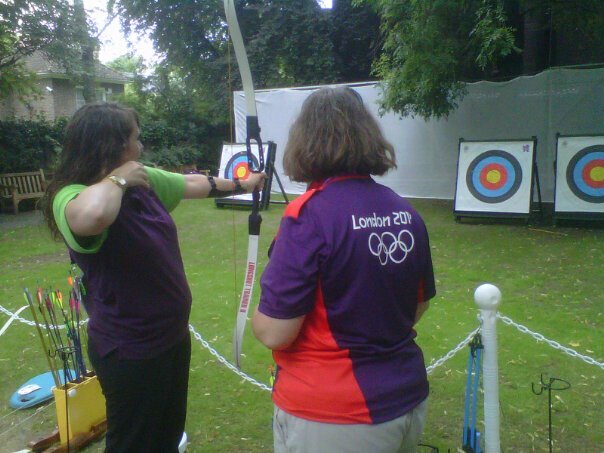 Following her arrival, the archers began competitions for their rankings. 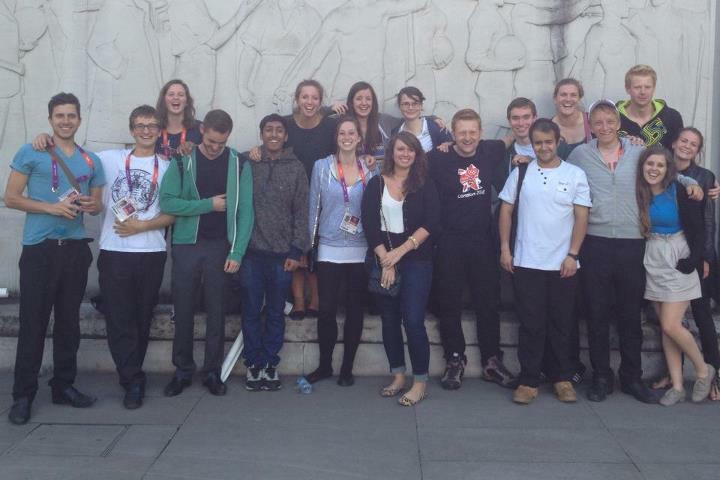 We had unprecedented access to these sessions, taking breaks in between bits of work to witness Olympic history. Excitement mounted the second day when the competitions began. In any other job, professionalism and speed are generally held in very high regard. 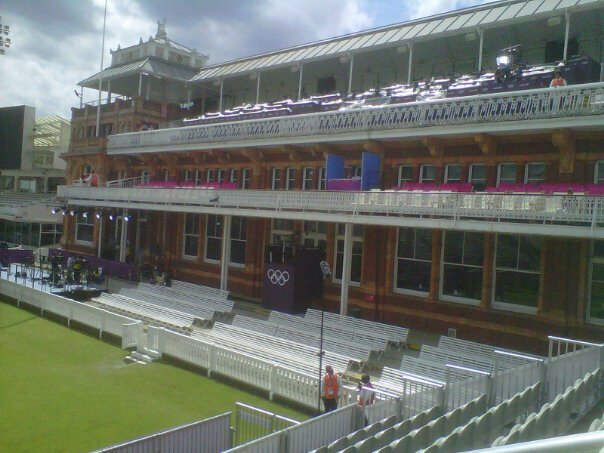 I can’t say some of those traits weren’t lost when the Olympics officially started at Lord’s. From the highest bosses to the lowliest employees, I think it began to sink in that we were all a part of something really special so work fell second in line to experiencing the greatest sporting event ever. 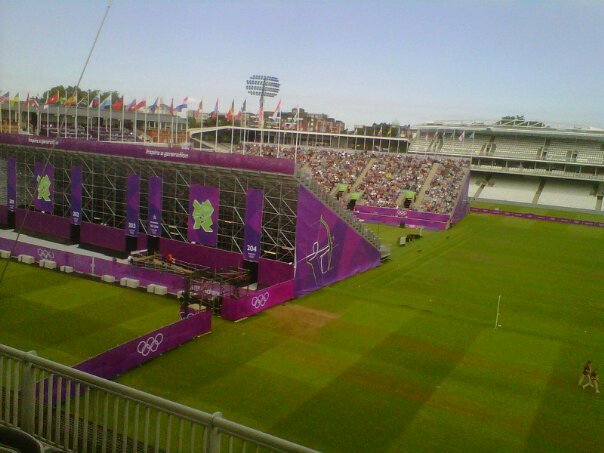 We sneaked in and out of the stands to watch the Olympians compete to bring home the gold. We participated in the “have a go” area, challenging one another to friendly competitions to see who could get a score closest to thirty. At a point during one of the days, I looked over and one of my co-workers was standing in the entryway trying on the bulletproof vest and hat of one of the policemen. As stressful as I thought the job would be, it turned out to be incredibly laid-back and fun, full of antics. The third day led most of us on a wild goose chase for a replacement pair of trousers, as one of our teammates had split his pants from crotch to toe while climbing over a row of seats. The VIP sightings didn’t stop either, as the third day brought a Prince of Monaco and the fourth day, the President of the Olympic committee. I was also incredibly lucky to have been placed with such an amazing team of coworkers, some of whom I was already familiar with thanks to Wimbledon. We were all out of our elements, trying something new and hoping to make the best out of an already amazing situation. We bonded over our work, which included cleaning public bathrooms and emptying bins. However unglamorous the jobs were, we took them on without complaint, secure in the idea that we were all in this together. Friday was the final day of competition and after the last day of work, we did what any group of twenty-somethings would do- we headed straight for the pub. Our boss was waiting our arrival and the first two rounds of drinks were on him. I couldn’t help but look around at my amazing group of newfound friends, to whom I was affectionately known as “American Sarah”, and think how lucky I am to have been placed in such a situation. It’s hard to believe that two of the experiences I’ve waited (seemingly) forever for, are now over. I look forward to being able to return to my regular life in London without the extra tourists on the tube, but for now, I’ll hold on to the days as tightly as I can, because my time here is very quickly coming to an end. *On Thursday night, Jordan and I decided to pop out for a quiet dinner in Leicester Square. It was a lovely evening, so we were seated outside at a very crowded restaurant. We were approached by two men who asked if they could take our table and did we mind if they sat there until we paid the bill. For our generosity they bought us each a glass of champagne, so we reciprocated with conversation. One drink turned into 3 hours of talking and it turns out the guy I had been talking to most of the night is a childhood friend of Prince William. I told you, Harry is just around the corner…. My amazing coworkers. We never would have survived without each other.